The Papua New Guinea Defence Force last Saturday sent two of its officers to UN Peacekeeping Missions in South Sudan on the African continent. This now brings the number of PNGDF officers serving as Observers on UN Peacekeeping Missions in Africa to four. Majors Raphael Yapu and John Bindie have been deployed to Juba in South Sudan and were farewelled at a small reception at the Jacksons International Airport last Saturday. 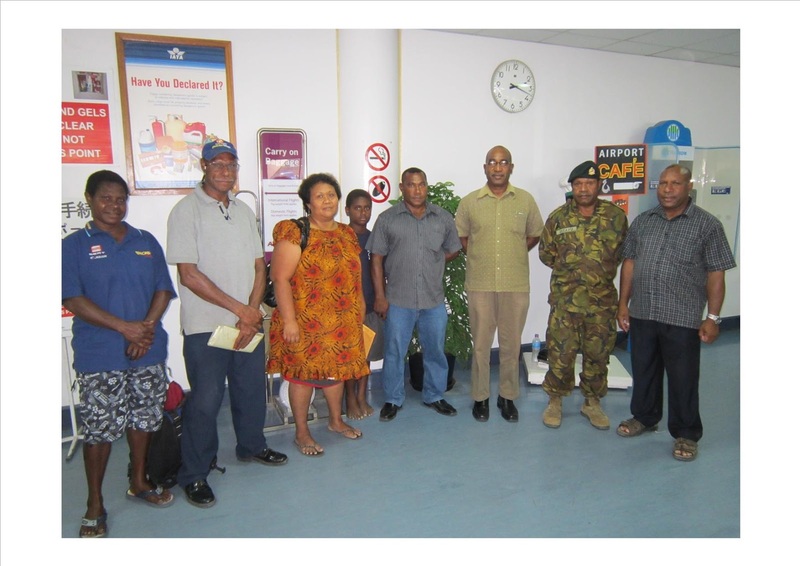 Both were farewelled by Joint Forces Commander Colonel Gilbert Toropo, PNGDF Defence Attaché to United Nations Colonel Michael Daniel, Joint Operations Centre Staff officer Lieutenant Colonel Tony Aseavu and the two majors’ family. Colonel Gilbert Toropo who spoke on behalf of PNGDF Commander Francis Agwi during the farewell ceremony said past officers had set a high bench mark for PNGDF and the country, making special mention of Major Bruno Malau who had been previously deployed to the Joint Operations Centre at UN headquarters in Darfur. Toropo said Malau had set a fine example and urged them to continue maintaining the standard he had set. Papua New Guinea’s Defence Attaché to United Nations Col Michael Daniel during the occasion spoke highly of them saying that Major Yapu and Major Bindie are the representatives of the country and PNG Defence Force. He urged them to go and give the best sort for the country. Colonel Daniels said he will be monitoring their performance at the United Nations headquarters in Washington DC and reminded them to maintain a high standard of discipline while on duty.